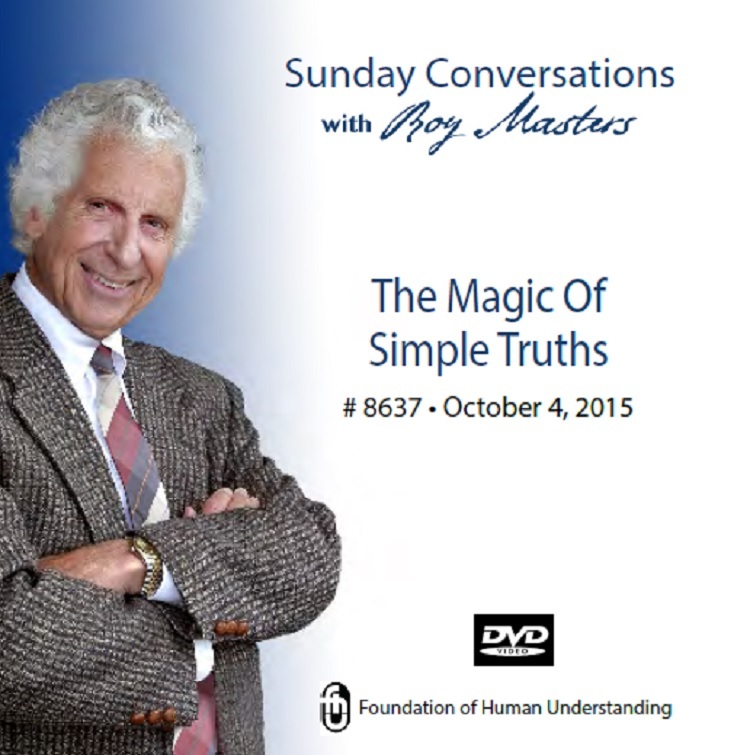 "The Magic of Simple Truths"
This talk is very practical. It’s about the little things: “The little things that make the difference between life and death.” It’s about the subtleties of love and how “the way you speak can have endless repercussions.” You’ll hear why 80 million people died because citizens didn’t attend to the little things. Roy tells us, “Each one of you needs to be a messenger.” Roy shares what it means to hold your ground and how our very energy field can re-boot your relationships and your very life.